Don’t Cross the Streams… wise words that anyone having seen the iconic first Ghostbusters movie would understand. 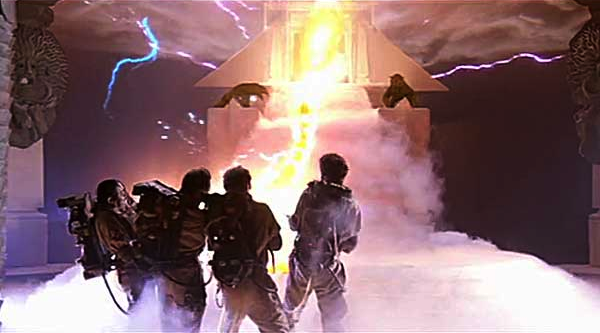 We now know that Gozer, of Sumerian lore, would eventually meet his/her demise because of this. Luckily for us, total protonic reversal did not occur, but instead helped inspire the next beer in our Mad Scientists Series – Goser The Gozerian. Ironically paralleling similar traits of the powerful entity seen on the big screen, Gose is an ancient, sour and saline tasting ale. 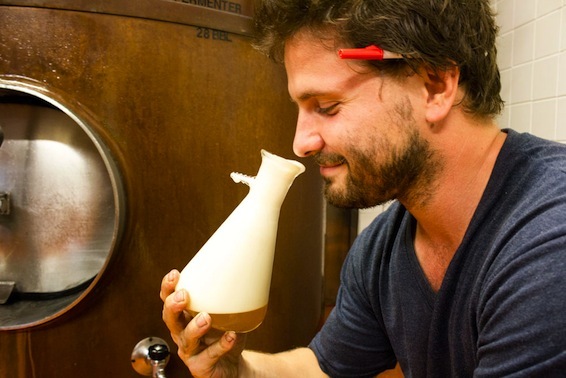 The brew is fermented with a combination of yeast and lactic bacteria and is spiced with both coriander, salt and hops. In the 20th century, with Germany’s wars and dictatorships, Leipziger Gose slowly faded in popularity. Though still considered a specialty in Leipzig, the Communist regime in East Germany decided it had better uses for its economy’s precious grain (specifically, for bread-making and not beer-making). By the late 1950s, the last pre-unification Gose was brewed in Leipzig. Only after the Berlin wall came down did this beer style begin to make steps towards a comeback in production and popularity. Our brewers opted for the use of “acid malt” that has the lactic acids actually cultivated into the grain. The result adds a characteristic tang found in most ”sour” style beers. Its nose is mild and subdued, with almost imperceptible hop notes, and just a whiff of spicy coriander. With a moderate ABV content between 4-5%, Gose is largely inoffensive to one’s inhibitions, but can be an acquired taste for the adventurous ghost-beer hunters out there. That said, our Mad Scientists have resurrected this once-prized permutation of German libations and can now be found on tap at your local Rathskeller. Prost!